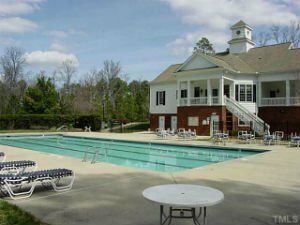 With great proximity to awesome shopping, the RTP, and quality schools nearby, Chancellor's Ridge real estate offers everything a family could need and more. 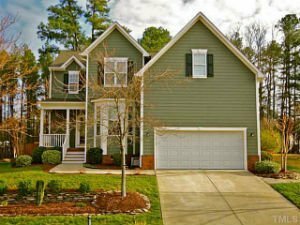 Carved out of the thick, forested landscape in south Durham, this quintessential, family-friendly community offers a great selection of homes for sale with approachable price points and plenty of curb appeal. Discover a selection of houses and townhomes that fit your lifestyle. With beautiful natural woodlands, exclusive community amenities, traffic-calming design, and a terrific assortment of attractive traditional homes, if you're looking for a great family-friendly community, then Chancellor's Ridge real estate is not to be missed! View all of the homes for sale in the MLS® listings below or keep reading to learn more about homes for sale in Chancellor's Ridge and its exciting nearby amenities. Chancellor's Ridge homes for sale are so desirable that they're often hard to come by. Developed between 1998 and 2005 by Sunstar Homes, this residential community is home to 375 single-family homes and 80 townhouse units, all sharing a similar Traditional architecture. The whole area has truly been masterfully considered, from its street design to landscaping and housing styles. Even the street names have a theme, which are cleverly reminiscent of the several nearby universities and include fun titles like Chancellor's Ridge Drive, Alumni Avenue, Graduate Crescent, Professor Place, Baccalaureate Boulevard, Diploma Drive, among many others. Homes in Chancellor's Ridge are ideal for first-time buyers and move-up buyers. 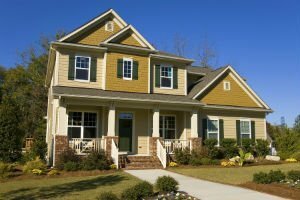 What's especially great about this neighborhood is that the lots have some extra space on either side of the homes, adding more space between the houses and the option of adding natural landscaping between each property for additional privacy. Most of the properties in Chancellor's Ridge offer an equal amount of space in the front and backyard, which is great for those who love to garden and have a place for their kids and pets to play. and an event planning committee. The American Tobacco Trail runs right next to the northern border of the community, separating it from the neighboring community of Huntington Ridge. To learn more about Chancellor's Ridge real estate and to request a showing, contact the team at My NC Homes today! Send them a message online or give them a call at 919-659-6173.